The requirements of this project in Cornwall were to provide a holiday home of the highest quality that reflected its prime location. 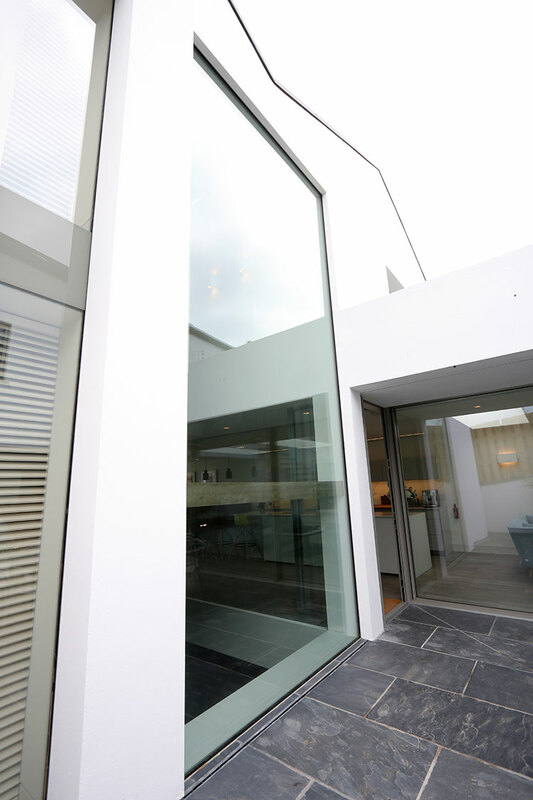 IQ Glass installed minimal windows sliding glass doors as well as a pivot door and fixed glazing onto this stunning new build by the coast. 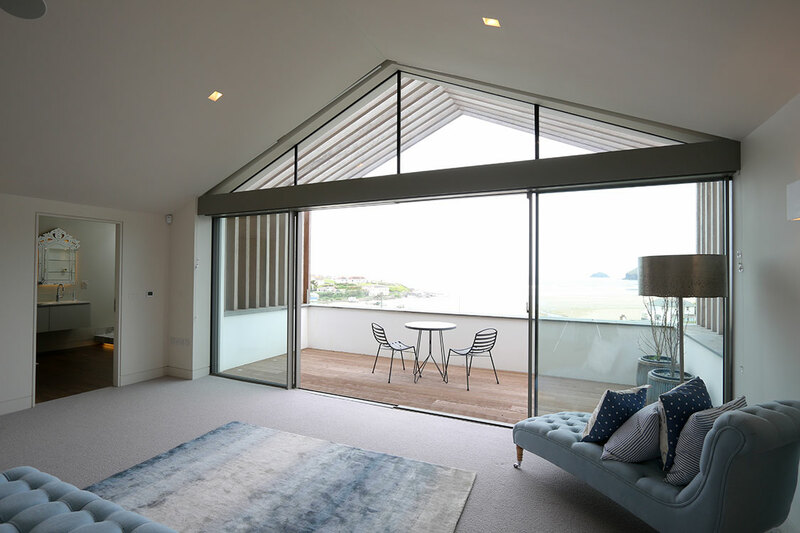 The slim framed sliding doors on the rear of the property have a bi-parting configuration with three panes on either side, providing a wide space for access. 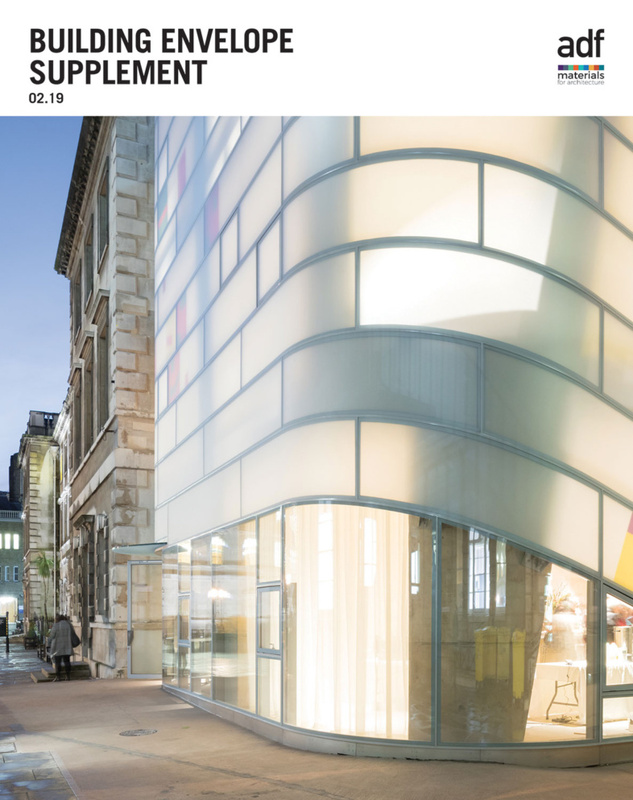 A double height structural glass elevation was installed for maximum light ingress into the stairwell. 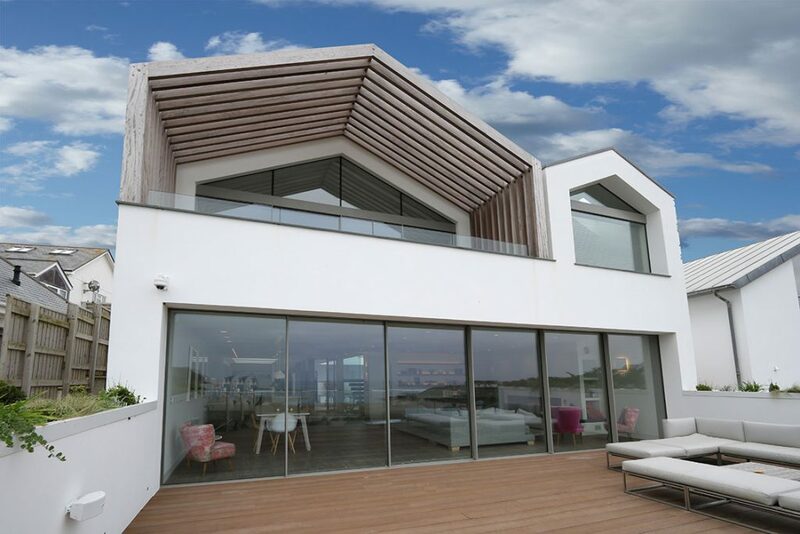 By using frameless effect structural glazing, the homeowners are provided with immense amounts of natural light ingress and stunning views of their surroundings from both levels of the home. 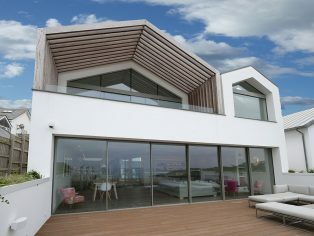 Fixed structural glazing was installed internally and externally to maximise light intake and to enhance the stunning views. 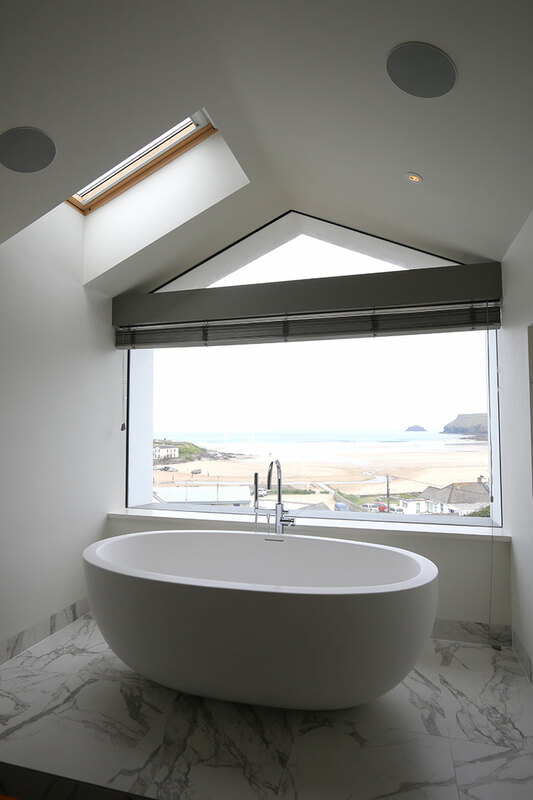 This glazing was placed above a set of sliding glass doors in the master bedroom, to create a frameless window in the bathroom and by the stairwell, leading to the basement.